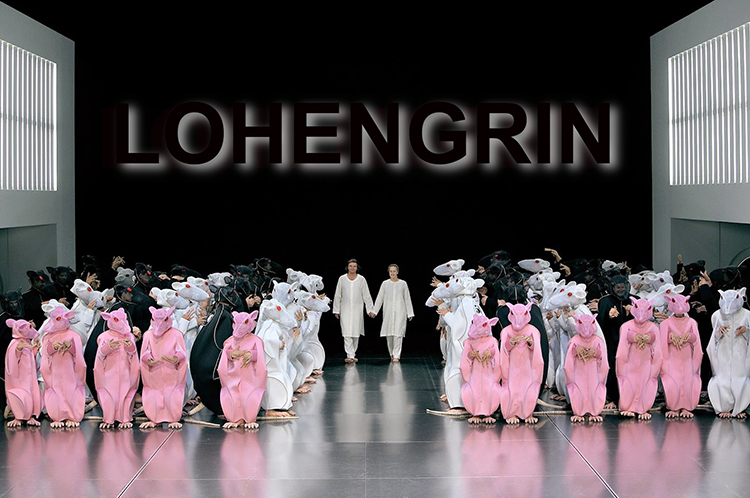 The 2010 Bayreuth production of Lohengrin was directed by avant-garde director Hans Neuenfels. This was the first festival presented under the leadership of Eva Wagner-Pasquier and Katharina Wagner, Richard Wagner’s great-granddaughters. 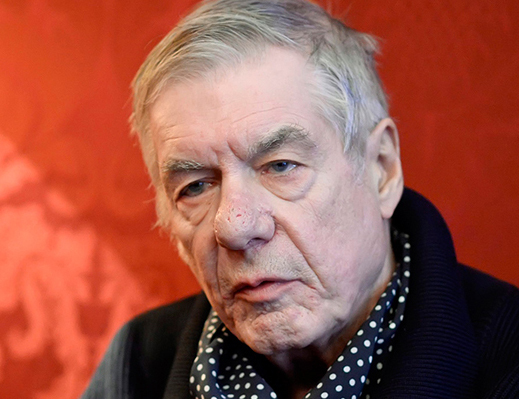 Their father, Wolfgang Wagner, died at the age of 90 after running the festival for more than 40 years. This production, conducted by Andris Nelsons, was booed when it premiered perhaps because of its unique, clinical approach to Wagner's work. Neuenfels set this romantic story of a fabled knight coming to the aid of a Brabantian noble lady who has been accused of wrongdoing in what appears to be a laboratory full of rats. 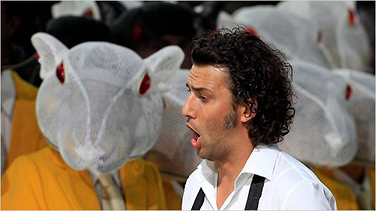 The first year of this Lohengrin production featured tenor Jonas Kaufmann in the title role. Music critic Anthony Tommasini in his New York Times review of this production reported that Mr. Kaufmann "sang splendidly, with soaring phrases and earthy vocal colorings. 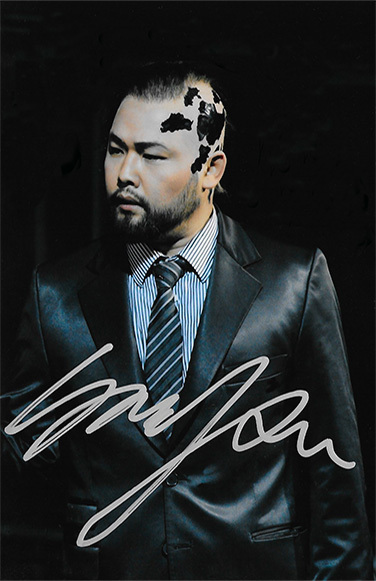 His singing is an ideal balance of keen intelligence and vocal charisma." He added that Annette Dasch as Elsa "sang with warmth and pliant phrasing," and added that she "conveyed Elsa’s wounded dignity so naturally." 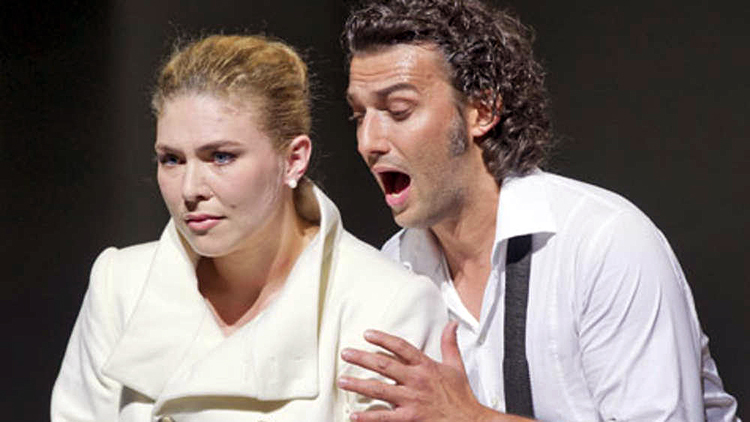 Jonas Kaufmann only performed the role that first year. 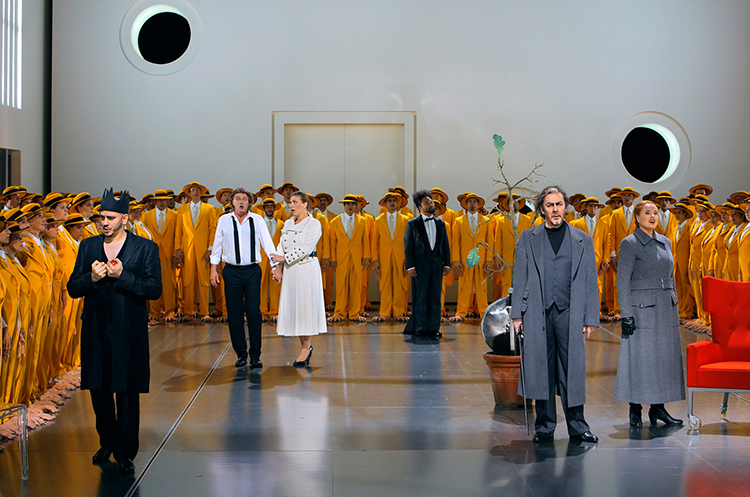 Tenor Klaus Florian Vogt took over for the duration of the run of this production. 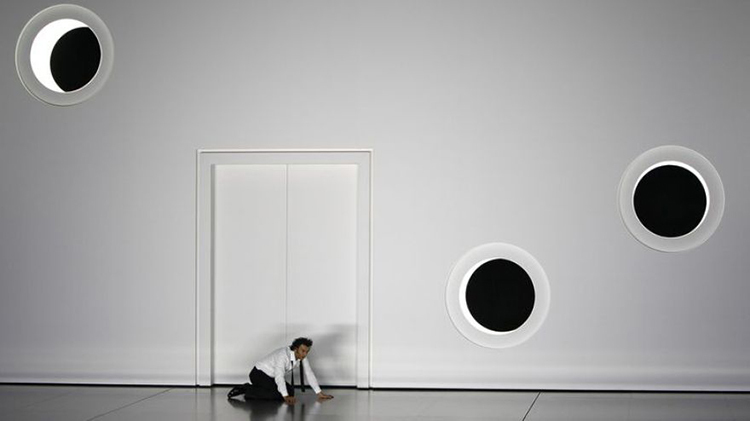 It was Vogt who sang the role when I attended Bayreuth and saw this production in August of 2012. Above, from YouTube you can watch the second half of this production of Lohengrin. Undoubtedly one of the most controversial images from this production comes at the end when Gottfried appears as an embryo cutting off his own umbilical cord and throwing sections of it around the stage as everyone, except for the departing Lohengrin, falls to the ground. 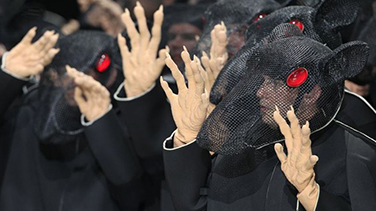 An unforgettable image which, like most of the production, is open to different interpretations. Baritone Samuel Youn (left), pictured here in the leading role of The Flying Dutchman, sang the role of the Herald throughout the run of this production. Wilhelm Schwinghammer (right) took on the role of King Heinrich the Fowler. Both of them were signing autographs in the main Bayreuth bookstore. This is where I met them, and where they signed the above pictures.